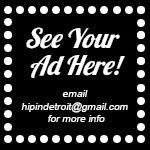 Hip In Detroit: Do Not Eat At The Owl!! Usually when I find a great place to eat I want to tell you guys all about it, but this time I really wanted to keep my mouth shut! Not because the Owl's food isn't great, but because I'm greedy and I want to keep this amazing new little space all to myself! 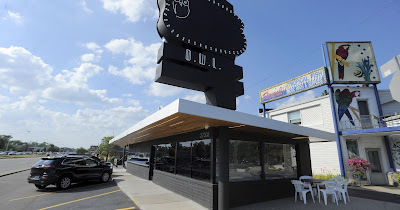 The Owl is a much needed 24 hour/6 day a week (closed Sunday at 10 p.m. until early Monday morning) space that recently opened up on Woodward just North of 696. It's a small diner with a few stools, a few small tables and out of this world food. Most small diners offer the same choices that all of the other Coneys in the area would offer, but the Owl isn't that kind of diner. Their menu features a small selection of amazing items done right. Nothing is greasy and everything has a little twist that makes it special. 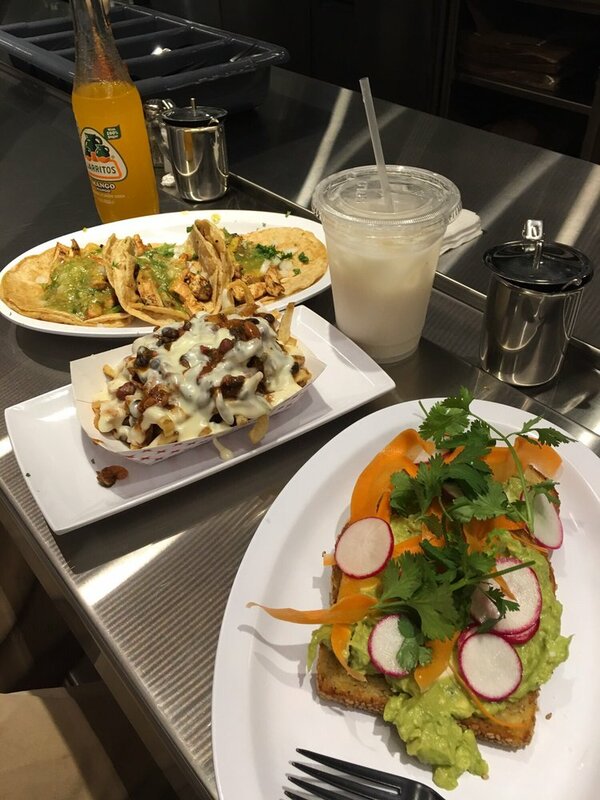 They have the standard items like burgers and breakfast, but they also offer some unique choices like tacos and toast with avocados and tuna. Their food is much higher quality than your standard diner and they also have really great breakfast sandwiches. There is only one issue with the space, it is pretty small. So not a lot of people can eat there at once, which is why I want to keep it to myself! This is the perfect place to stop on the way to work in the morning and the perfect place to stop when the bar shuts down at 2 a.m. I loved the tacos and would highly suggest them as the first thing that you try. 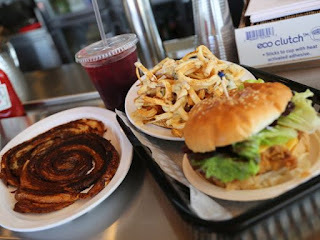 Heading home from a night in the city, skip the fast food and hit up the Owl, your body will thank you for it! The Owl is located at 27302 Woodward Ave., Royal Oak, MI 48067.